Dan "The Magic Man" Cogliano performs magic for children ages 3 to 8 in the Baltimore/Annapolis, Maryland area. The magic show contains fun, non-threatening entertainment with a mix of magic, comedy and puppets. With Dan the Magic Man, your child is the star of the show! 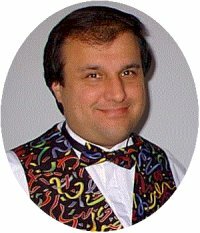 Dan has been involved in magic for over 20 years.